For whatever reason, the last week or two has brought with it a dramatic increase in the frequency of Wikipedia mentions in various blog posts across the country. The works of esteemed bloggers Amanda Hassanally, David Vusich and Dilvin Ismail have stimulated the mind and challenged us to consider the validity of the words we absorb and trust on Wikipedia’s website. 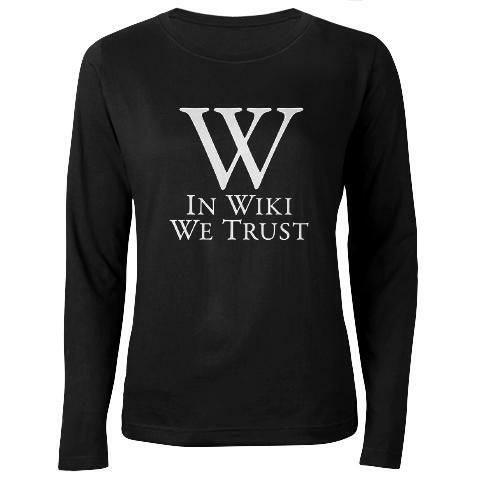 Most often, the concerns have been related to who is making the contributions to Wikipedia and their authority and qualifications to make those contributions, as well as the competence of the editors entrusted to patrol the site and weed out the troublemakers and false information. Somewhat startling information shared by Richard Jensen of a 2011 survey of Wikipedia editors showed that 90% were male and 27% were under the age of 21. Even more concerning is that 13% are still in high school (Jensen, 2012). Do these high school students have the knowledge, competency and maturity to handle the responsibility of operating a site that so many people trust blindly? Would Wikipedia be such a frequently used resource if everyone knew unqualified teenagers were managing portions of it? Does a 90% male editorial base suggest gender bias in the information presented on Wikipedia? Surely, this information would lead us to believe that the information contained in Wikipedia articles is filled with errors and omissions, and could never be trusted as much as a respected source such as the Encyclopedia Britannica, right? Fortunately for Wikipedia, and its devoted users alike, Jim Giles’ special report published in an edition of Nature dispelled many of these concerns. By studying various science articles, the works of Wikipedia were found to be on the same level as the almighty Encyclopedia Brittanica, and contained a similarly small number of errors (Giles, 2005). This report represented a great win and a boon in support of Wikipedia’s validity as a trusted, accurate resource. But enough surveys and special reports. I wanted to take a look into this myself. I am currently in the process of writing the LSAT examination, so I figured this would be a good place to start. How would Wikipedia’s account of the LSAT compare with my own experiences? And how did the members of the Wiki-community interact with each other, particularly when issues and controversy arose. Were disputes handled with respect and reason? Or with the chaotic anarchy one would expect from high school students? At first glance I found the information on Wikipedia’s LSAT entry to be very accurate and informative. Although not passionately written (as expected), it contained a breakdown of all the information an aspiring law student would want to know regarding the structure, importance and history of the exam. The “Talk” section contained a few disagreements, but all were handled respectfully and with sources cited responsibly. No one was just spewing their own personal opinions or being offensive to anyone. As is often the case, a dispute around the Canada-USA relationship occurred, but it was managed respectfully through the use of relevant citations and statistics. This section also contained other topics of discussion, all of which were done so respectfully and in an organized and diplomatic fashion. While the opportunity for error exists on Wikipedia, it’s hard to say that it is any more unreliable than other sources, and research has shown this to be true. I have found the information on Wikipedia to be both comprehensive and reliable, and the contributors, despite their apparent lack of accreditation, have presented accurate information, as well as conducted themselves respectfully. Wikipedia has been around long enough that it should be recognized as a reliable, accurate source, and although perhaps not quite ready to be used as a reference in academia, should not be scoffed at and treated as an inferior resource for information. Giles. J. (2005). Special Report: Internet encyclopaedias go head to head. Nature. 438, pp 900-901.